WORDS OF SUPPORT FROM THE PROCLAIMERS........!! "It was always a really great crowd for us when we started off playing Inverness quite a few times in the very early part of our career, a really knowledgeable music crowd who always made us feel very welcome and appreciated in Inverness, there was a great network of people creating events in the city at that time. Very fond memories for us indeed. We wish everyone involved all the very best." 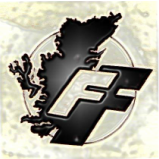 The Faultline Festival was Inverness's s home grown arts festival which was established in 1986 and ran for approximately six years. It promoted concerts, arts events and stage shows such as the satirical review The Kilt Is Our Demise!, from which evolved the award-winning Dogstar Theatre Company, amongst other things. Many who were involved then are still working in or around the arts or are still very much in touch with each other and decided to celebrate the 30 yrs since it began with some events in Nov 2016, with a view to starting a new festival in 2017.